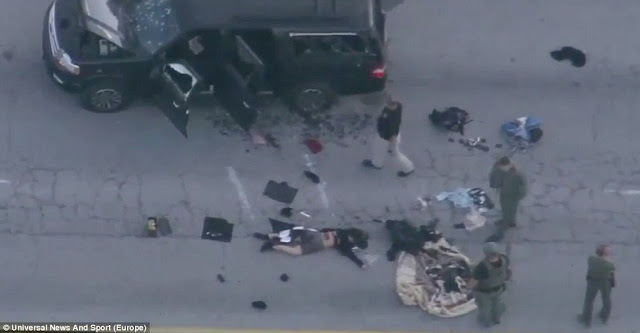 A hot argument leaves 14 dead in San Bernardino, followed by killing of the gunman and female accomplice by the police, as seen in photo above. Rampage reportedly sparked after gunman had an argument at a holiday party at the Inland Regional Center who left the scene and came back heavily armed to kill at least 14. It is not known if he left of his own accord or was kicked out, but sources say he returned heavily armed.